No matter if you spend $2000 or $50,000, insurance reimbursement will still pay the same amount for laser treatments. So you can either start making money this year, or you might spend 10 years and never break even with your laser purchase. No matter what you hear from competitor lasers, only the Microlight ML830® and Erchonia have double blind studies with the FDA. Anybody can hire a doctor, group and patients to perform a study. But it can costs hundreds of thousands (if not millions) to run studies through the FDA. Similar to the Medical Double Blind Studies, only the Microlight ML830® & Erchonia have legitimate FDA Clearance as a Cold, non thermal, Laser. Both companies received clearance back in 2002. For those companies that don’t want to spend millions on medical double blink studies, this is the alternative route. Simply buy a first class stamp and claim your device is the same thing as the Infrared Heat Lamp. Which of course has nothing to do with cold lasers. 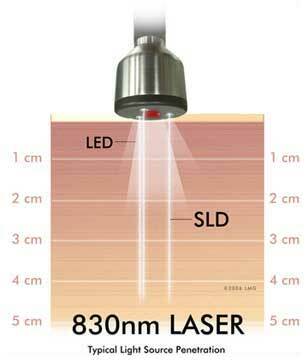 Does it seem that every Laser/LED on the web is FDA approved? Here is a bit of history on why. Microlight Corporation and Erchonia were the first to get FDA clearance back in 2002. Microlight, for example, spent millions of dollars over 10 years, submitting countless research and two double blind studies (Baylor & GM Motors) to get their ML830® cleared by the FDA. Erchonia had a similar situation. To our knowledge, no other laser company has ever received a new specific FDA clearance. Let’s say you had the option to wait years, spending millions of dollars on research/studies or you had an option to basically spend 39 cents on a stamp and get your product FDA Cleared. Which route would you go? Welcome to the world of LED/SLD/Heat Lamp devices. WHAT DOES THIS HAVE TO DO WITH LASER THERAPY ? Nothing (LOL). But these clever companies determined they could piggy-back on this heat lamp’s FDA clearance and fool the market into thinking they were buying FDA-cleared lasers. A few companies have even piggy-backed on the ML830® clearance in the last few years.